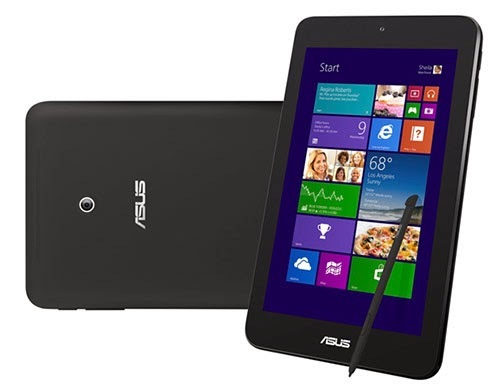 ASUS has announced a new 8-inch Windows 8 tablet, the VivoTab Note 8 today at CES. It comes with a special Wacom stylus, a 1280 x 800 pixel IPS display, 2GB RAM, a 5MP primary camera, and an HD front camera. The real star of the show, asserts ASUS, is the Wacom stylus. It can purportedly deal with 1,000 pressure levels, making this a potentially enticing device for animators and users who are looking for a more true-to-life longhand writing experience. In the Windows tablet landscape, there really isn’t anything else like it, so it makes sense for ASUS to push the Wacom stylus’ technology. Under the hood the Note 8 is packing a Bay Trail Atom Chip clocked at 1.86GHz. Expect the ASUS tablet to drop late Q1 or early Q2. The Note 8 is priced competitively at $299 and $349 for the 32GB and 64GB models respectively.